Home » Why Do We Sleep? We all know how we feel when we sleep well, and when we don’t sleep enough. When we sleep, we’re happier, we have more energy, and learning comes more easily. When we don’t sleep, we feel unfocused, exhausted, and irritable. We can feel the effects of sleep on our brains and bodies, but we may not understand why we sleep. What is the purpose of sleep? How much do sleep scientists know about the way we spend one third of our lives? Decades of research have proven that sleep is essential to life. 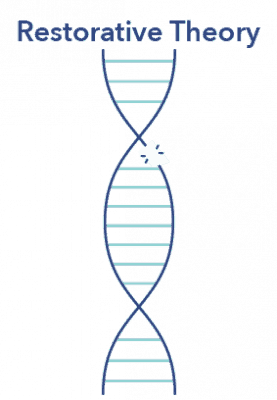 All living organisms require sleep and display deficits in functioning without it. There are several theories about why we sleep, and why we need to spend so much time doing it. 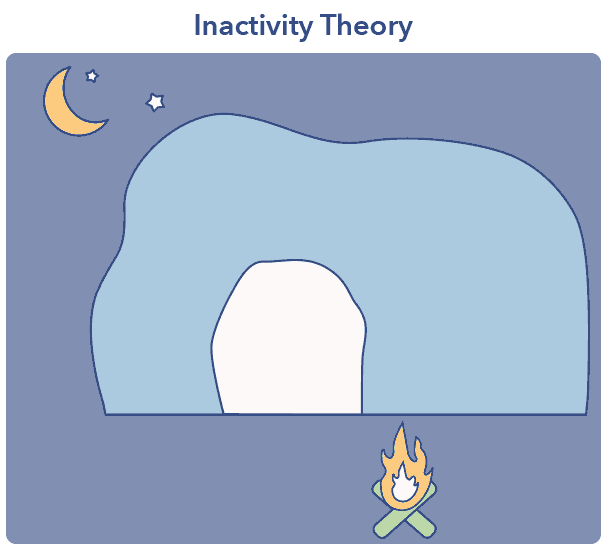 The Inactivity Theory, also known as the Adaptive Inactivity Theory, explains sleep as a protective mechanism that keeps human beings and other diurnal animals safe at night. The sleep drive may have evolved in response to the vulnerability to predators and the inability to see clearly in the dark. Sleep may have been particularly protective of children, who could have been more likely to become lost or hurt during the night. Natural selection may have favored the human ancestors who remained inactive and out of harm’s way after dark. The counterargument to this theory is that consciousness is more protective than sleep, even at night if remaining quiet and still. Active during the day. Human beings are diurnal while other animals such as raccoons as nocturnal. Animals who are active at twilight and dawn, like cats, are crepuscular. Sleep not only conserves existing energy stores, it reduces the need to consume additional food during the hours when the body is resting. Digestion is minimally active during human sleep, and metabolism decreases by 10%. Core temperature drops and demand for calories drop, decreasing the need for energy even further. Though the blood pressure, heart rate, and brain activity increase above non-REM sleep levels during REM sleep, the muscles are paralyzed, which both prevents the acting out of dreams and minimizes the use of energy. Some scientists believe that the energy saved during sleep isn’t sufficient to explain the amount of time spent in sleep, or the loss of opportunity to hunt, collect food, and defend against predators. Q: What is core temperature? A: Core temperature refers to the internal temperature of the body, including the organs and blood. The core temperature remains in a narrow range so that enzymatic reactions can occur in a safe environment. The premise of the Restorative Theory is that sleep evolved to help the brain and body repair and restore muscle fibers, immune function, and cell activity, as well as engage in other important physiological processes. Sleep is crucial to the restoration and maintenance of immune function. The connection between sleep and immunity is supported by studies demonstrating that animals lose all immune function when deprived of sleep. The Restorative Theory references the build up of the neuromodulator adenosine during wakefulness. (8) Adenosine, a by-product of cell activity and energy consumption, causes sleepiness as levels rise in the brain over the course of the day. 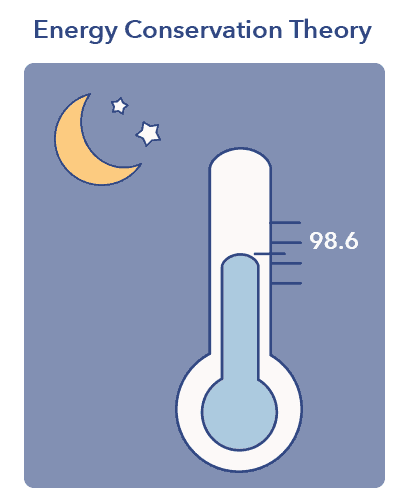 The drive to sleep increases along with levels of adenosine, which decline once sleep occurs. A type of protein that can fold and accumulate in the brain and causes more than fifty types of diseases, including dementia and amyloidosis. A more recent theory about the evolution of sleep is the Brain Plasticity Theory. 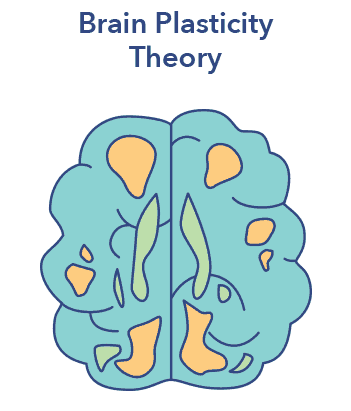 (9) Brain plasticity refers to the changing of the brain over the course of a lifetime. Sleep may help the brain restructure and reorganize, as well as learn and perform cognitive tasks. Some studies show that sleep affects the strength and speed of synapses between neurons. Sleep may not just restore the ability to learn, but may also shape how organisms learn by increasing the capacity of long-term memory and other essential cognitive processes. In addition to its effects on memory and brain plasticity, sleep may have other wide-ranging physiological effects. It may help the nervous system “reboot” and check connections between the brain and systems throughout the body, such as the digestive and cardiovascular systems. Sleep’s impact on immunity is so significant that vaccines invoke a stronger immune response in well-slept recipients than those who are sleep-deprived. Q: What is executive function? A: Executive function refers to the mental processes that enable us to plan, focus, commit things to memory, and accomplish multiple tasks. Though none of the theories of why we sleep have been proven beyond a doubt, it is clear that sleep is essential to life. Without sleep, all living organisms die within a few weeks. Whether sleep evolved to help us avoid predators, conserve energy, restore and repair the body, or as a crucial part of memory processing and brain plasticity, it is an indispensable part of life for all organisms on earth. Recent advances in sleep science are bringing us closer to understanding this essential function and answering the question: why do we sleep?